Walter Zellot was born on 6 October 1920 at Spittal an der Drau in the Kärnten region of Austria. Zellot was serving with JG 53, based on the Channel front, in November 1940. Fähnrich Zellot was assigned to 1./JG 53. However, he had to wait until 22 June 1941 to claim his first victory, a Russian I-16 fighter, shot down over the Eastern front. By early August, he had increased his victory total to 12, including three victories on 11 July to record his fourth through six victories. In autumn 1941, I./JG 53 was relocated to the Mediterranean theatre. Operating from bases in Sicily, Zellot claimed two RAF Spitfire fighters shot down over Malta in April 1942, including RAF ace Squadron Leader John Bisdee (9 destroyed, 4 probable and 3.5 damaged victories) of 601 Sqn, RAF on 21 April. Bisdee successfully baled out of his shot up Spitfire landing in the sea to be rescued later. 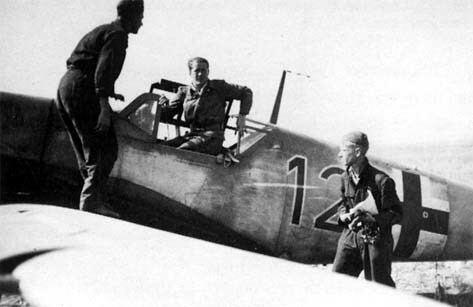 Zellot accompanied I./JG 51 back to Russia in May 1942. 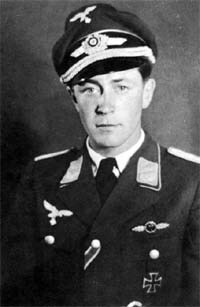 In just over three months, he would claim 69 victories operating with other I./JG 53 luminaries Wilhelm Crinius (114 victories, RK-EL), Wolfgang Tonne (122 victories, RK-EL, killed in action 20 April 1943), Heinz Golinski (47 victories, RK, killed in action 16 October 1942) and Alfred Franke (59 victories, RK, killed in action 9 September 1942). He recorded 13 victories in July, including his 20th victory shot down on 9 July. Leutnant Walter Zellot after returning from a sortie in his "Black 12"
On 19 August 1942, Zellot was appointed Staffelkapitän of 2./JG 53 replacing Hauptmann Klaus Quaet-Faslem (49 victories, RK, killed in action 30 January 1944) who had been appointed Gruppenkommandeur of I./JG 3. In August, Zellot claimed 44 Russian aircraft shot down, including three victories on 1 August (30-32), three on 2 August (33-36), three on 7 August (39-41), four, including three Russian Il-2 Sturmovik ground-attack aircraft, on 9 August (43-46), five on 13 August (51-55), four on 23 August (62-65) and three on 28 August (69-71).  Leutnant Zellot was awarded the Ritterkreuz on 3 September for 75 victories. On 10 September 1942, Zellot’s Bf 109 G-2 (W.Nr. 13 487) “Black 1, White 0” was hit by flak over Stalingrad. The shell, which blew off the aircraft’s tail, was probably German. Zellot baled out at too low an altitude for his parachute to deploy properly and was killed. Walter Zellot was credited with 86 victories in 296 missions. He recorded 83 victories over the Eastern front, including 17 Il-2 Sturmoviks.